– 0000034: [generic] when adding a new command in irplugin it doesnt refresh in the event command add area (stevenhanna6) – resolved. – 0000774: [services] xcontroller, “pause logging” and “show hex” for log added (stevenhanna6) – resolved. 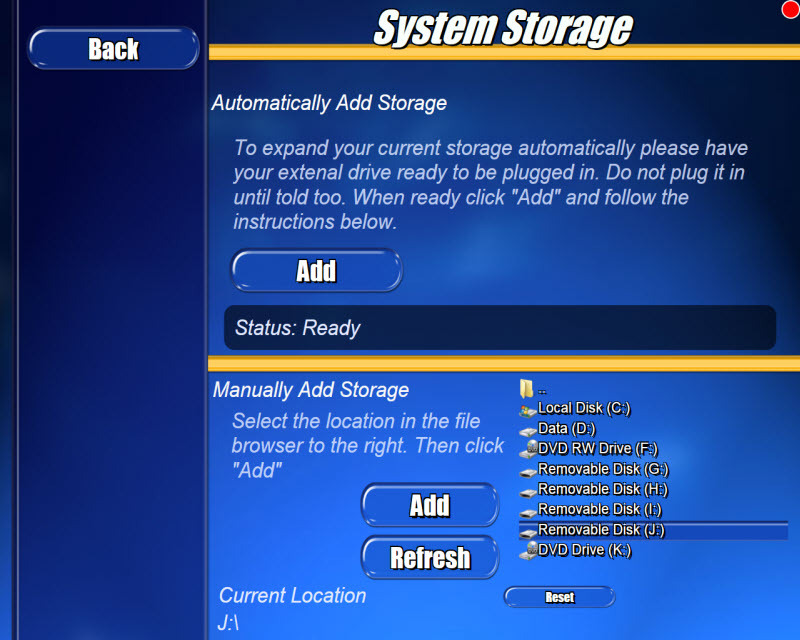 – 0000773: [generic] manually add new storage location through skin (stevenhanna6) – resolved. – 0000771: [generic] sound to notify when IR learn has started and finished (stevenhanna6) – resolved. – 0000770: [generic] file browser does not show all file types (stevenhanna6) – resolved. – 0000769: [client/server] client connection status now reported in log file (stevenhanna6) – resolved. – 0000768: [client/server] new, silent reconnects option added for clients (stevenhanna6) – resolved. – 0000767: [generic] file type icons didn’t appear in file browser (stevenhanna6) – resolved. – 0000763: [client/server] “Reconnect…” box is too small? (stevenhanna6) – resolved. – 0000427: [generic] Automatic external hard drive setup (stevenhanna6) – resolved. – 0000140: [generic] deleting files from recycle bin messes up the os from the file browser (stevenhanna6) – resolved. – 0000134: [setup] add predefined resolutions for display (stevenhanna6) – resolved. – 0000048: [generic] file explorer, add drive refresh (stevenhanna6) – resolved. – 0000775: [skin editor] file category type doesn’t show category options (stevenhanna6) – resolved. 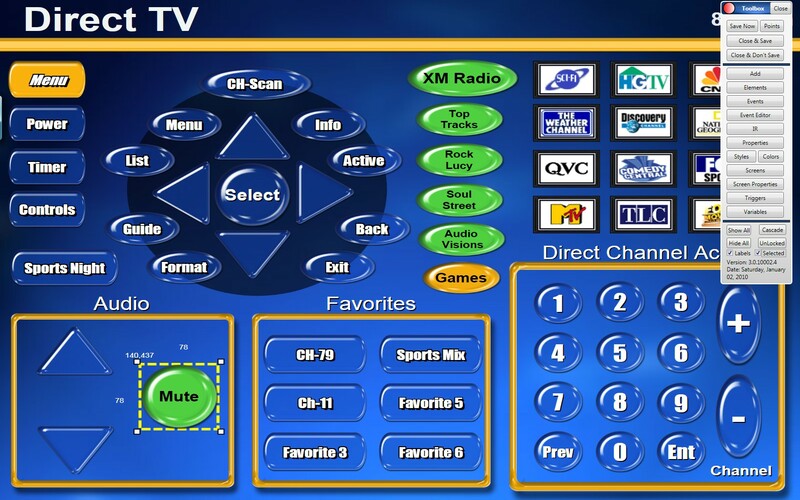 xLobby users can now easily add external hard drives or NAS hardware to there system without the complexity of having to go into Alt+F2 setup menu and configure the media databases and DVD plugin manually. 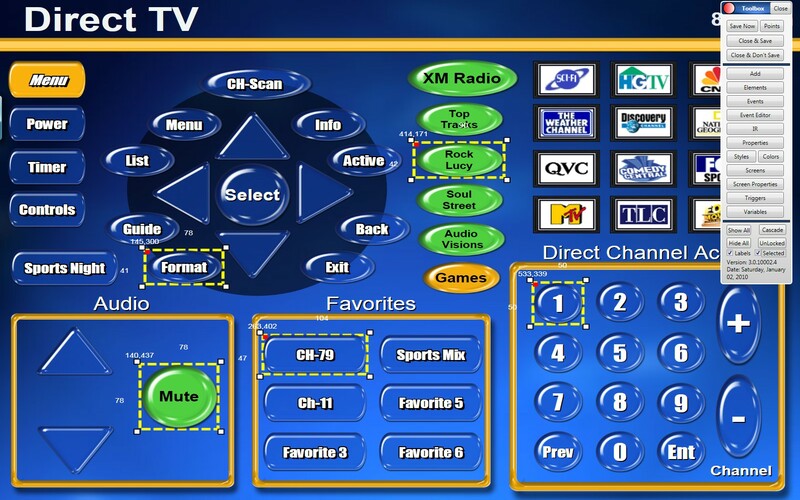 xLobby can easily add external storage products and set up the external drives automatically for use as a media storage devices under databases and in the DVD Plugin. 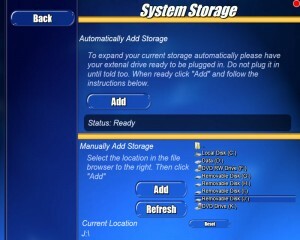 Navigating to the new System Storage menu From the main menu select More, Health, Storage Add. This is a temporary location and further design changes and options will continue in future releases. Connecting external USB hard drives, Press the Add button and follow the instructions until the process is complete. xLobby has now created all the media folders for the new drive and already mapped out the drive for use in xLobby for immediate use. 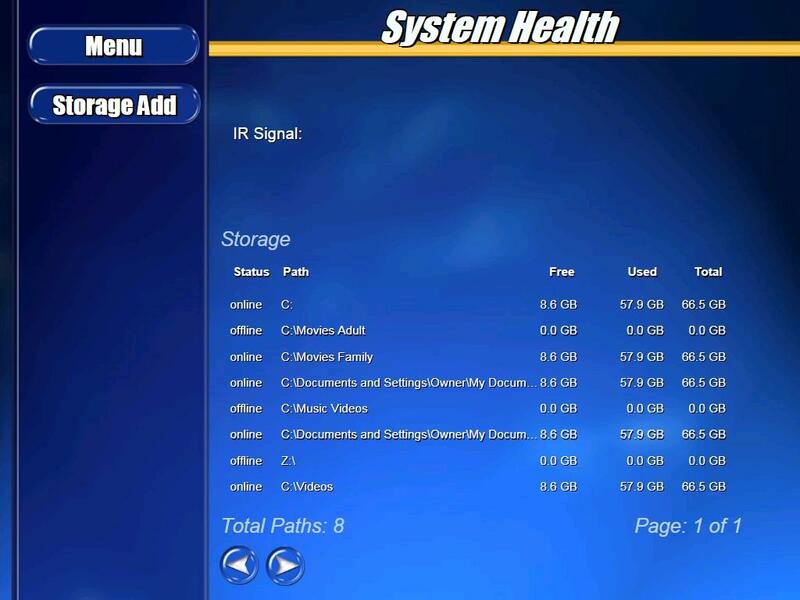 In this section you can manually add external hard drives or setup NAS storage solutions on a network. 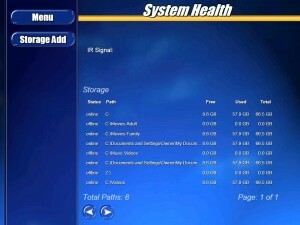 The Reset button will set all file paths to the top most directories. This news post is subject to updates or changes. Update 1-17-2010: Forgot to mention this cool toy from CES. 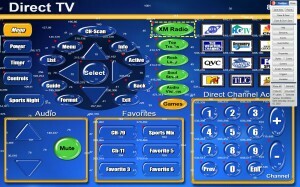 Calrad’s new PC\HDTV video balun with built-in video splitter. At CES 2010 there is so much technology to cover. Below are a few of my favorite websites that should provide some good coverage of the show. Light Blue Optics: Holographic Laser Projection with interactive touch technology. Soundolier: Wireless Speaker Lamp and Speaker Ceiling Fan, Wireless Audio Transmitter. The sound quality was pretty good and the wireless connection seemed noise free without any noticeable signal interruption. Intel: Intel I7 Processor running a program called Infoscape. A laptop driving two 7-foot interactive touch screens, displaying 576 cubes hooked up to 20,000 info sources, including 20 live video feeds. Seems impossible. Touch one of the cubes, and an infobox displaying that content tumbles forward. This news post will be updated while I am at CES, If I find some innovative new products or technology I will post more information and details or links here so check back. Calrad’s new Ethernet Video Adapter can send video from your xLobby, PC, Laptop over your existing network and output video in VGA or DVI to any video display that suports these video formats. – 0000743: [skin editor] “auto repeat” check box added under “general” for buttons (stevenhanna6) – resolved. – 0000747: [generic] new “[Unknown]” sort added when properties are not found for an item in searches (stevenhanna6) – resolved. – 0000745: [setup] F2, video percentage settings for media player now visible (stevenhanna6) – resolved. – 0000744: [skin editor] new variable “%xlobby>windowsversion%” (stevenhanna6) – resolved. – 0000749: [setup] auto update features added (updates xLobby after 3 hrs of inactivity) (stevenhanna6) – resolved. – 0000741: [services] Allow Backup Folder to Be Specified (stevenhanna6) – resolved. – 0000510: [skin editor] Image aspect ratio is still incorrect. (stevenhanna6) – resolved. – 0000746: [plugin] Weather shows Fahrenheit (stevenhanna6) – resolved. – 0000679: [generic] Is it possible to display an “empty” genre, plot, director, etc., so that one could see which movies/albums need to be updated? (stevenhanna6) – resolved. – 0000685: [generic] Can you add an “autorepeat” feature option? (stevenhanna6) – resolved. 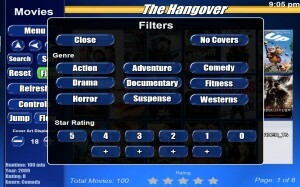 – 0000748: [generic] added ability to filter by star ratings (stevenhanna6) – resolved. – 0000104: [skin editor] x and y coordinates for a button on the screen (stevenhanna6) – resolved. – 0000754: [skin editor] show width and height for an element in skin editor (stevenhanna6) – resolved. Screenshot No. 1 of the new Coordinates feature, when the Toolbox, Label check boxes are checked off all elements in the menu shows width and height, X,Y position for each element in skin editor. Screenshot No. 2 of the new Coordinates feature, when the Toolbox, Label and Selected check boxes are checked off any selected element will show width and height, X,Y position. Screenshot No. 3 of the new Coordinates feature, when the Toolbox, Label and Selected check boxes are checked off, holding down the CTL key enables multiple elements to be selected and will show the width and height, X,Y position for each element. Screenshot No. 4 of the new Coordinates feature, when the Toolbox, Label and Selected check boxes are checked off, holding down the Shift key enables groups of elements to be selected and will show the width and height, X,Y position for each element. 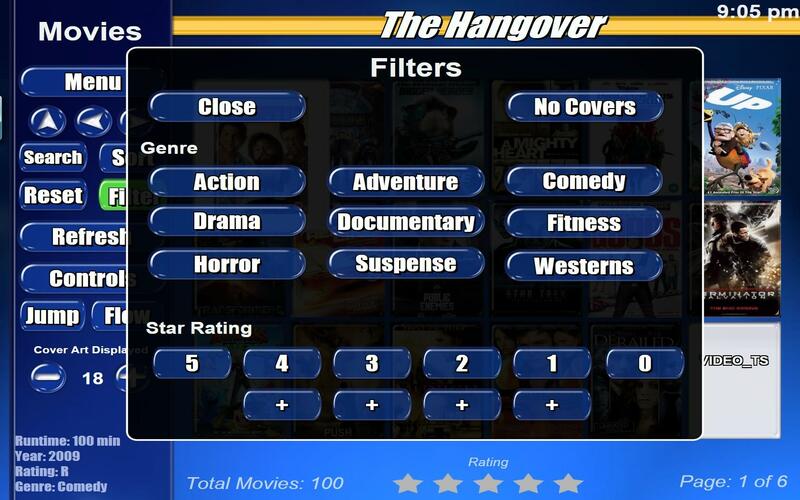 Screenshot of the new Filters Menu for Movies, added the ability to filter by Star Ratings + No Covers. You are currently browsing the xlobby news blog archives for January, 2010.